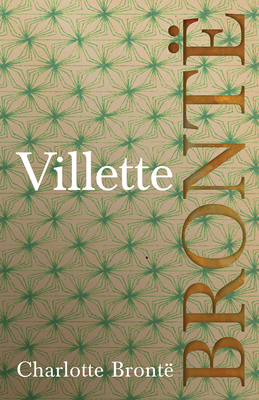 First published in 1853, "Villette" is Charlotte Bront 's third novel. It was originally adapted from the same material her first novel "The Professor" drew upon, which itself was based on her experiences as a teacher at a Belgian boarding school. After an unmentioned tragedy in her family, Lucy Snowe, the protagonist, emigrates to Villette, a fictional French-speaking town, where she begins teaching in an all-girls school. What issues is her fantastic adventure into a world adventure and romance. Charlotte Bront (1816 - 31 March 1855) was an English novelist and poet, and the oldest sister in the world-famous trio of literary sisters. Along with her sisters', her novels have become classics of English literature still read and enjoyed by people of all ages the world over. Many vintage books such as this are increasingly scarce and expensive. It is with this in mind that we are republishing this classic volume now in an affordable, modern, high-quality edition complete with a biography of Charlotte Bront by G. K. Chesterton, and an essay by Virginia Woolf on the Bront family home, Haworth.